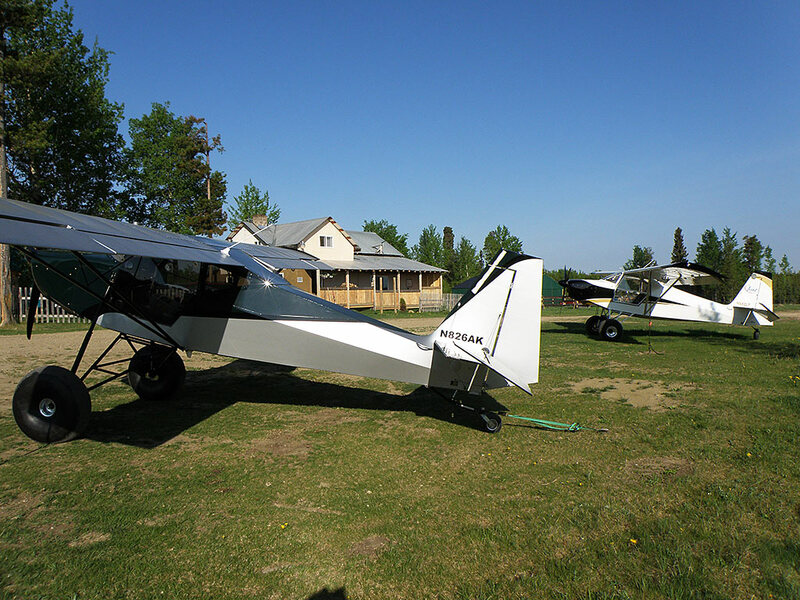 Picture of Gary's SuperSTOL -- which won Grand Champion Light Sport Aircraft at Sun 'n' Fun this year -- are in this thread: http://www.wingsforum.com/viewtopic.php?f=218&t=23601. but back in the saddle this am. 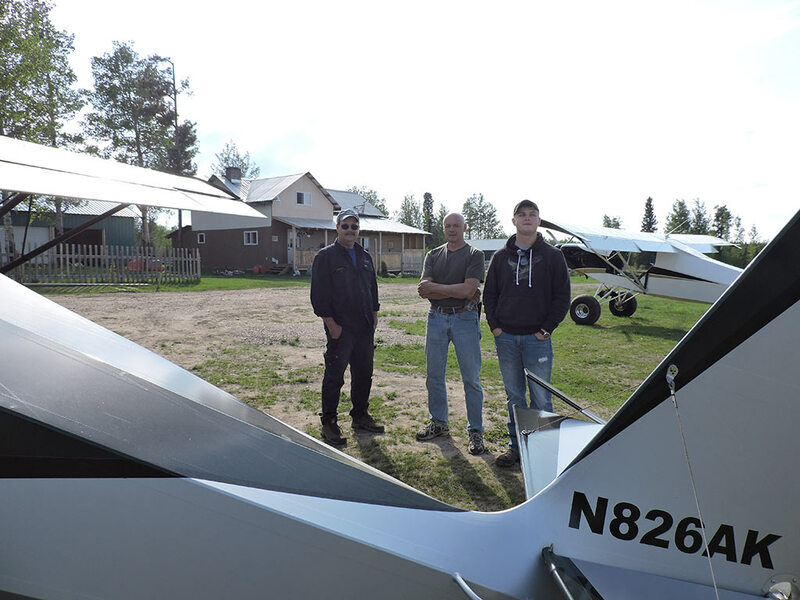 Scott, Gary, and Tyler dropped into Pontiac today enroute to Alaska. A good friend of mine runs the FBO at the Pontiac Airport (Pontiac, Illinois. KPNT) He gave me a call when they landed, thought I might know these guys. I happened to be working very close by at the time so I ran out to the airport to say hello. I had met Gary at the factory when he was just getting started on his airplane, so it was good to get to meet him again and get to know him a bit. Super guy, hope to take him up on his offer of a guided tour of Alaska via SuperSTOLs one day! And I've known Scott for a few years, so it was great to see him as well. I met his son Tyler (who was glady along for the trip to Alaska). Man, if my airplane was finished, it'd be darn tough not to join the group and fly along. What a trip of a lifetime! Scott said as they were approaching the airport, he had remembered that I was around this area somewhere. Scott was with the group that dropped into my place last summer on the way home from Oshkosh. They had not planned to stop here, but were fighting pretty stiff headwinds this morning. They spent a few days in Greencastle, Indiana waiting out some weather, but were back on their way now. So far, they report, all is well, and everyone is enjoying it. We went and grabbed some breakfast, and got a bit to talk. Scott was disappointed that Sweet Tea is not readily available up here, and Tyler and I pointed out, that is only going to get worse as the trip progresses. Blue skies and tailwinds guys! We were flying through Minnesota and wondering where we might spend the night when we suddenly remembered our friend and Highlander owner Marlowe Thooft. Not only did he hook us up with accommodations but he and his friend Justin took us for a tour of a WW2 museum and warbird restoration facility. What an awesome trip this is! I'm still trying to figure out how to get my pictures from my photo gallery to this forum. We're in the Dakotas today waiting out some rain. Should be back in the air in a couple of hours. I'm not going anywhere today so it just shows me at our house. If the map comes up without any data just zoom out with the slider a little. We are in a low resolution area so if it's zoomed in too far it goes blank. The google map doesn't show our airstrip or hanger because we just got it in and the map data is a couple years old. In the top corner is a box that says Map / Satellite. Click on Satellite for an actual photo display. Can't wait till the map gets updated with our airstrip on it. That pointer (#1) is exactly on the fence post I have the Spot setting on right now. I'll walk the airstrip and get a few markers on it. CarolAnn (in her Rans) and I (in the Highlander) will be leaving Florida around June 13 for Fairbanks. Rodger, thanks for all the tips and guidance. I hope to be checking into a 20M net along the way. Also report APRS positions under N93WS callsign. I don't want to hi-jack this thread, so we have a travelblog set up that I will post a link to. Have fun guys, maybe see you in July. them. Sorry for the delay. The thumb is a nice touch! Building new wings for P-40's. They have made it to Ft. St. John, BC. Soon it will be the Yukon and then Alaska. Finally getting time to post some pics. And this is just the airplanes again. We do have an invitation out for any of you travelers to stop over here. 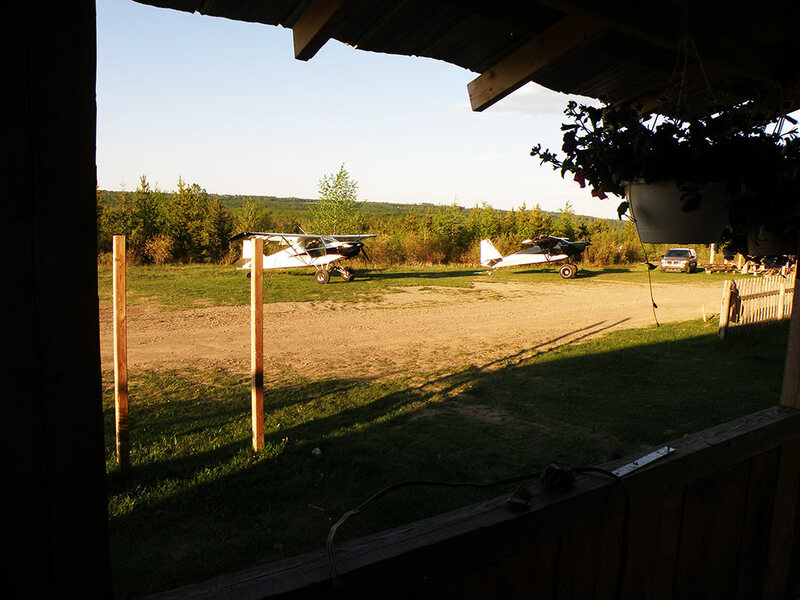 The plan is to for you to land at CYRM, which is Rocky Mountain House, Alberta, Canada. Then we can decide if you want to use our strip depending on local conditions and also it is still under construction. Wes, keep me posted so I'll have a heads up on when you'll get here.